It was a real learning experience to be in your class. Param – You are the Zen-Master of TOGAF from this part of the world! Excellent sessions; it was worth the years wait to take the course from the real Zen master of TOGAF. Extremely well planned and delivered sessions, effective pedagogies involving clear thinking about longer term EA learning outcomes as well as short-term goals of passing TOGAF certification. My sincerest thanks for the effort put in by you. Indeed, the passion in the subject was clearly visible in the enthusiasm shown by you. In the numerous trainings I have attended on the professional front, I admit that you have been the best of faculty I have come across. Every single question posed had an answer to clarity, every question was answered with utmost sincerity and patience. Been glad to be a part of the 4 days training. 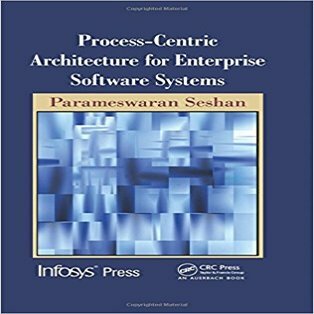 Param is an Enterprise Architect and business transformation consultant, and CC&C’s training lead for Enterprise Architecture (including TOGAF and ArchiMate). He has provided TOGAF® certification training to over a thousand professionals (and ArchiMate® certification training to scores of professionals) across the globe, from the largest companies. Param has 21 years of experience in the IT industry. 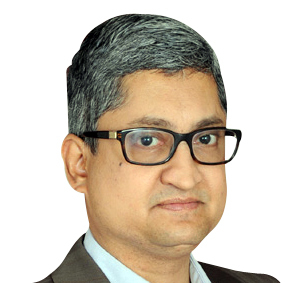 He has helped transform, architect and deliver full life-cycle enterprise-level business and IT solutions and systems for leading organizations across the world including Infosys, customers of Infosys, American President Lines (Oakland, California) and Case Consult (I) Pvt Ltd. He is an experienced middleware software product architect, and was the lead architect for a major business process management (BPM) system / platform. He has done research in process-centric architecture, BPM, software architecture and new computing models. Apart from Enterprise Architecture (EA) topics, he has also taught IT architecture and software architecture/design topics for IT organizations. Param holds a B.Tech degree in Computer Science and Engineering from the University of Calicut. His certifications include TOGAF 9, ArchiMate 3, IT4IT, and Sun Certified Enterprise Architect (SCEA).